There are few guarantees in life but one you can count on is that big storms are going to go through the Lakeland area each and every year, which might require emergency tree service. When these storms come through, they can really wreak havoc on the trees in your yard. Trees and tree branches falling in the wrong area may not only be inconvenient, they just might be creating a safety hazard too. 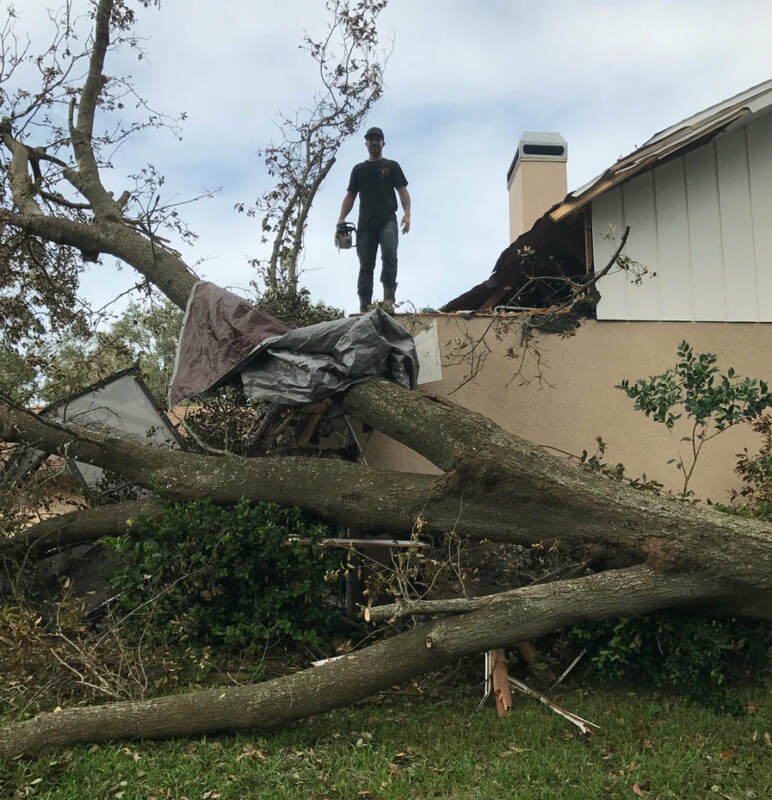 Florida storms are largely unpredictable and can strike at any time in the day or night and when they do you need the emergency tree services that Lakeland Tree & Land has to offer. If after a big storm passes you have trees in your yard that are resting on power lines or against your roof they will need to be removed as quickly as possible because of the hazards they present. Our highly skilled tree experts are standing by to help no matter what time of the day or night it is and our trucks are always ready to roll to your property with the latest and best tree removal equipment in tow. No emergency tree service job is too big or too small and we can easily handle any tree emergency scenario. You will be pleasantly surprised by just how fast our highly skilled tree technicians can put the trees at your home or business back in order. We are also a reputable company that does not take advantage of major storm damage situations and our Lakeland, FL emergency tree service pricing is the same each and every day of the year. Why Would You Need Emergency Tree Service? We have touched upon the fact that fallen trees and large limbs can create a very dangerous situation. Trees leaning on power lines can suddenly catch fire and large branches that are dangling can unexpectedly fall and damage property or injure someone. Here are some emergency tree services that we can help you with no problem. Some of you might not consider something such as preventative tree maintenance as a true tree emergency but that is exactly the case if you have been putting off removing some problem trees and now a storm is fast approaching. You then will need us to get there fast. Even if it’s a last minute decision, being proactive with tree removal in your yard is the best way to prevent unnecessary storm damage. Taking down a problem tree before that big storm hits can save you hundreds if not thousands of dollars in damage and insurance deductibles. Even sturdy palm trees are sometimes no match for Mother Nature’s fury in Florida. Once the wind kicks up it can take down even the hardiest of trees in a matter of seconds; if the soil has been previously saturated with ran than heavy wind can bring down trees even easier. If you have trees that are uprooted and lying across your driveway after a storm or precariously leaning where they are a danger, you will need these trees removed ASAP and we are here to help. Lakeland Tree & Land has crews standing by and ready to go as soon as any big storm subsides. Many times after a big storm area tree professionals will raise their prices to take advantage of the situation; sometimes emergency tree service fees can be even doubled or tripled. You will never see any of that nonsense with Lakeland Tree & Land; our prices remain constant no matter what the situation because we always put the customer first and value your future business too. So whether it is an emergency situation or tree trimming, we will be more than happy to give you an estimate to get the work done before the first tool comes off the truck. We will discuss with you exactly how we are going to do the job and give you a price that is fair for that type of emergency tree procedure. We know that after a storm you will need us to get their fast. That is why we always have our trucks loaded and ready for any type of tree emergency that may arise. If a big storm is forecast we will prepare ahead of time and if it gets bad enough we have the capability to increase our manpower in that event. Lakeland Tree & Land promises you will be very pleased with our quick response time and even more pleased with our affordable and efficient effort once we arrive. 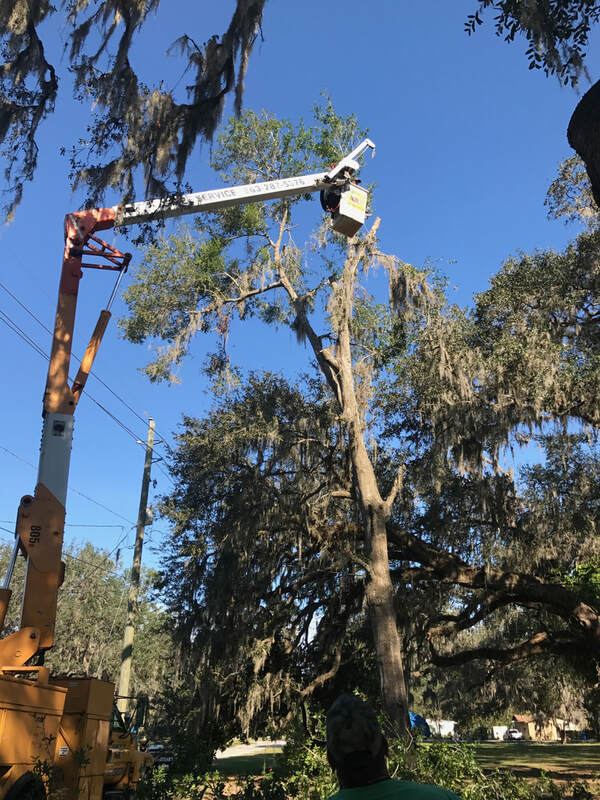 So call Lakeland Tree & Land immediately if you need 24/7 emergency tree service in Lakeland at 863-777-5444 and we will make every effort to get to your location as quickly as possible to help resolve your tree problems!